Better structure. The bulky pin-headers connecting the LCD and main board in old DSO138 has been elimintated. The soldering of these pin-headers is problematic for beginners. USB or battery powered. This is much more convenient to be used as a portable device. New version analog board (PN: 109-13801-00H, aka "H version") can accommodate a battery charger JYE118 (see here) to make the device more practical. External trigger input. This input can accept a TTL or LVTTL signal as trigger source. 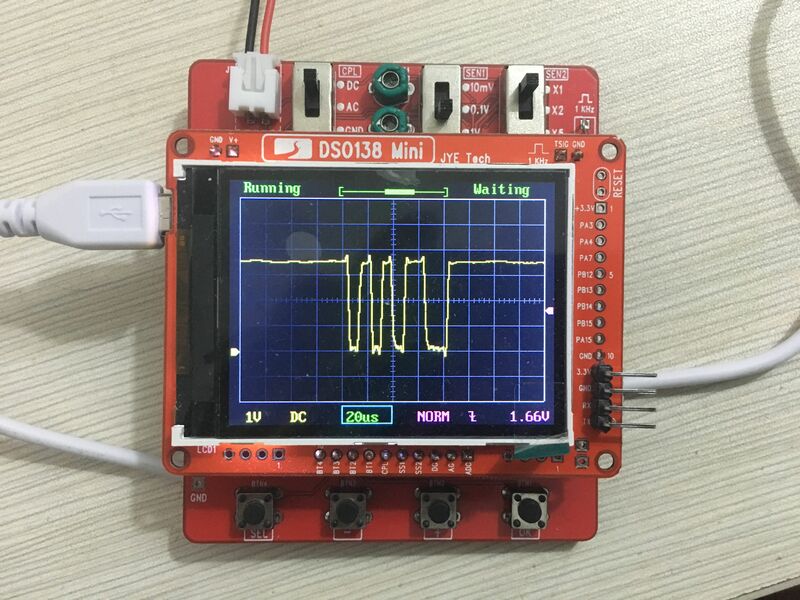 Serial output of waveform data. This mean captured data can be saved and displayed by PC. For example, this photo shows a captured single byte (0x35) sent from a serial port at 115200bps. This photo shows the same waveform displayed on PC using Gnuplot. Use as general controller. 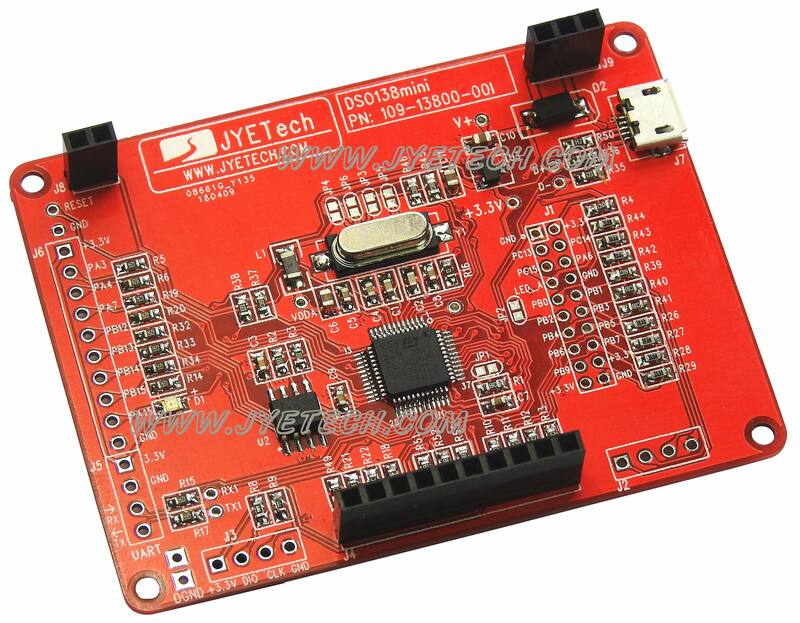 The main board can be used as a general purpose control board with LCD display. Like DSO138 the MCU of DSO138mini has been programmed. The main board and analog board have been tested before packing. 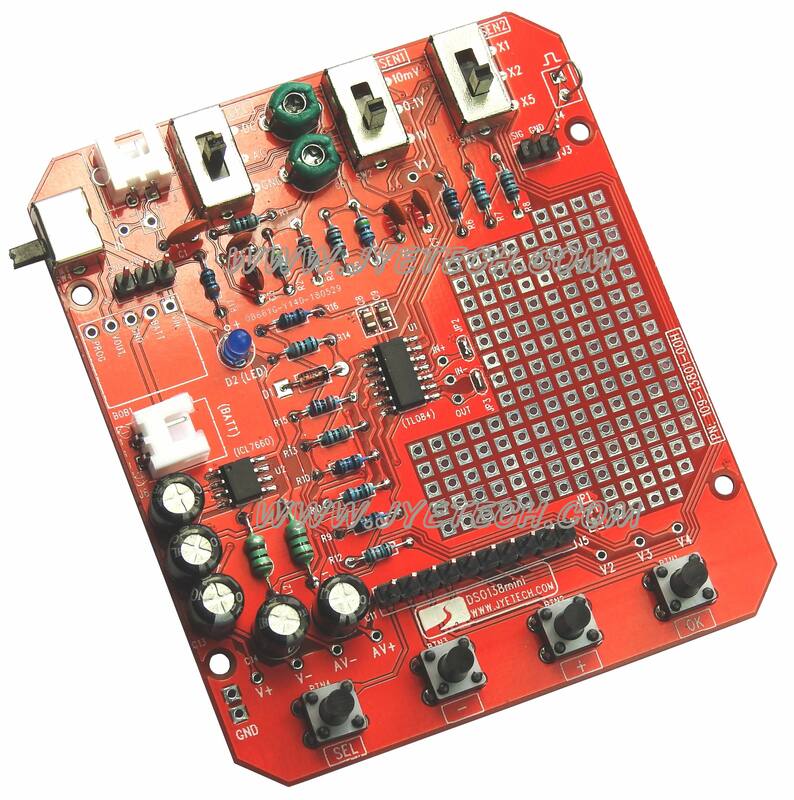 Users only need to solder a few pin-headers to the main board. Most of soldering work for user is on the analog board.